The outreach newsletter is published 2-3 times a year. 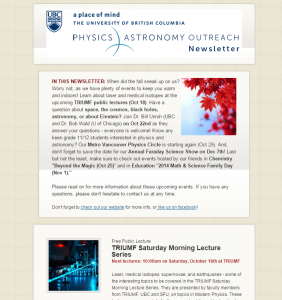 Each newsletter contains information about our upcoming events (free/paid), summer camps, public lectures, and more. Visit our subscription form to subscribe to the outreach newsletter.